Vue Form Generator is a schema-based form generator component for Vue.js. 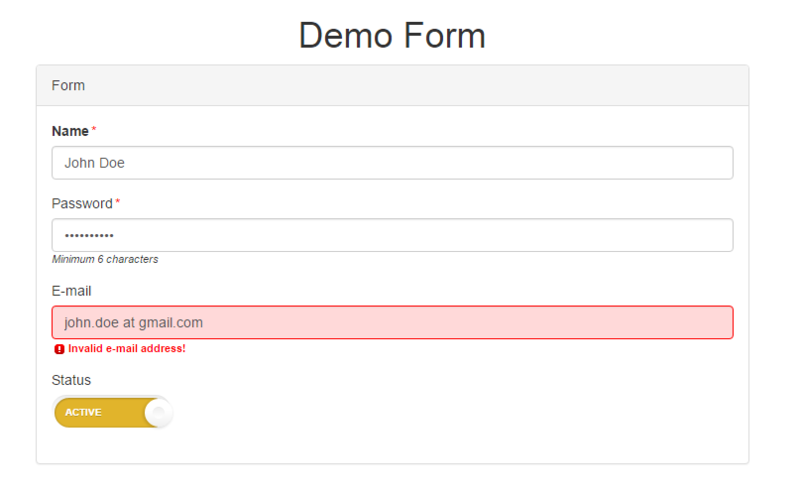 Using this component creating forms will be a breeze. To use it, you have to provide a schema with an array of the fields you need and the model you want to bind with the form. Additional, you can provide some options. 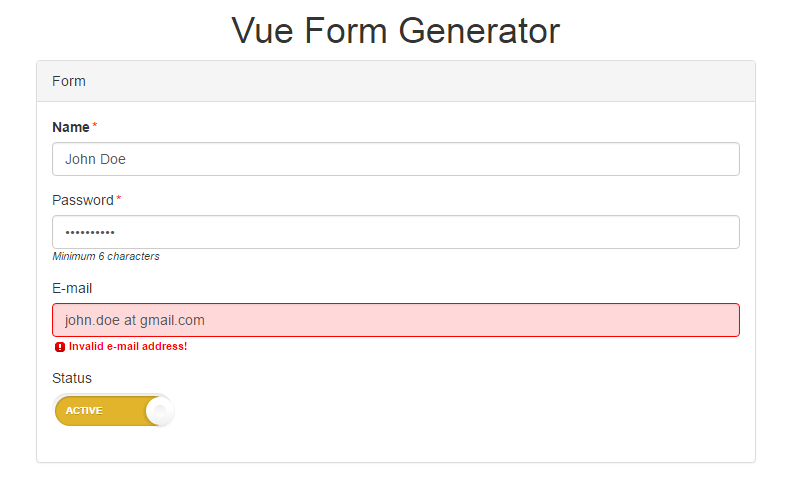 Notice how easily vue-form-generator validates the desired fields, email and strings, using validator: VueFormGenerator.validators.email. Currently, it comes with a set of handy validators such as email, string, number, date, and more. You can view a more detailed usage example on JSFiddle. If you are interested in using vue-form-generator take a look at the documentation. The source code is available on GitHub.